StockGuard offers an electric fencing system that is highly effective and easy-to-erect while still looking professional. Our highly visible electric fencing tape acts as a visual, mental, and physical barrier for animals. It is strong enough to act as an effective enclosure, while providing the additional deterrent of an electric shock. Electric fencing that is difficult to see can prove hazardous for animals. Limited vision means they can push against it when frightened. StockGuard electric fencing helps prevent these problems because it is wide enough to be properly seen by livestock. "I've had StockGuard now for close to 10 years and it still looks very good. Occasionally an insulator will break if a horse had a tangle, out comes a spare insulator and the battery drill, and five minutes later it looks like new again. Never even find the culprit as there is never a mark on any of the horses." Electrified wires are woven throughout the width of the fencing tape for maximum coverage. Electric fencing systems built on StockGuard are strong enough to resist 270+ kilograms of lateral pressure. 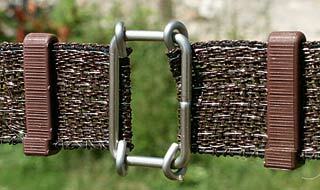 We've also used an open weave to minimise wind resistance. All hardware has been designed to resist extreme temperatures and the effects of ultraviolet. Our electric fencing has been tested in some of the most inhospitable climates in the world. We've used 100% stainless steel to reduce the effects of corrosion. We use large-sized wire filaments for extra strength. Our open weave design minimises wind resistance. 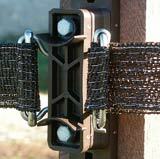 Our electric fencing tape is designed to yield and break if an animal is truly frightened. This reduces the risk of serious harm to the animal. 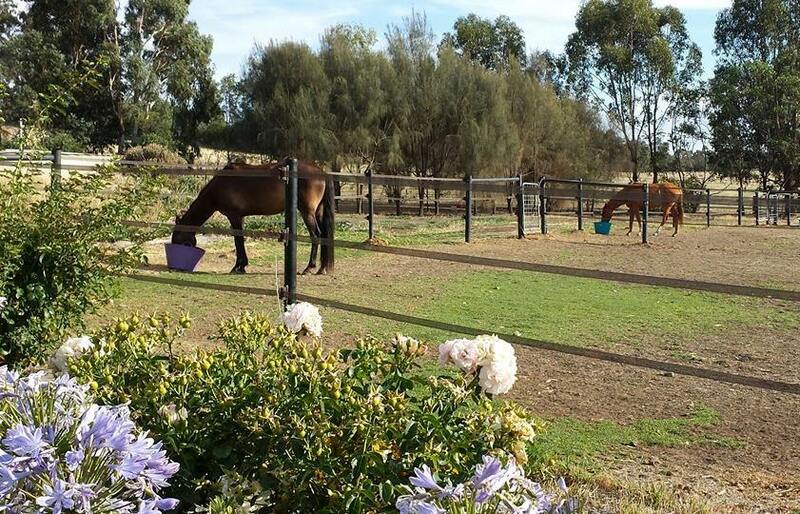 The growing number of satisfied customers here in Australia complements more than 30,000 customers in the United Kingdom currently using our electric fencing tape. Read what our customers have to say about our fencing system in client testimonials.